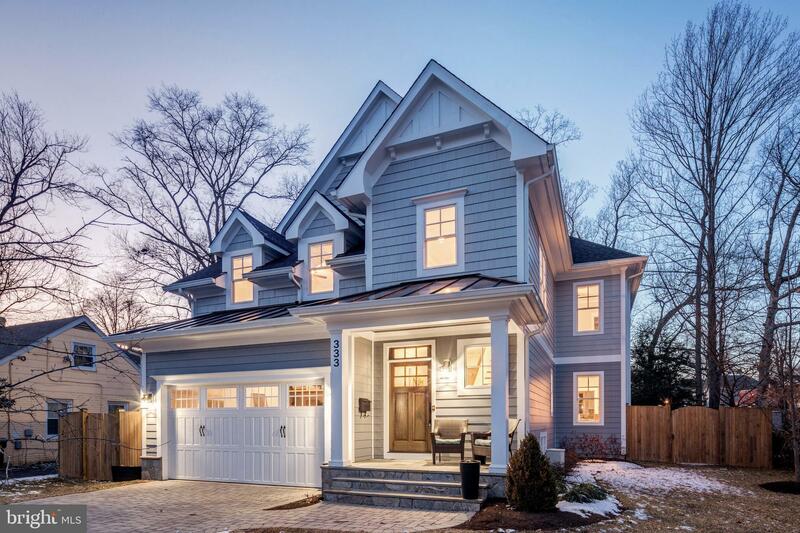 *Two year old beautiful Falls Church City Craftsman with 6 BD 5.5 BA, with main level bedroom & full bath, open kitchen with connecting great-room and newly built screened porch. Gourmet eat-in kitchen with crisp white cabinets, granite, high end SS Appliances. Owner's suite w/ trey ceilings & Large luxurious Owners Bath. Walk out basement. Custom Moldings & Hardwoods on Main & Upper Level, thoughtful details throughout, meticulously maintained and better than new. Perfect Falls Church City location, one block to Cherry Hill Park, Starbucks, Liberty BBQ, Farmers Market, restaurants, library, bike trail & much more! © 2019 Bright MLS. All rights reserved. Information Deemed Reliable, but Not Guaranteed. Listing information is from various brokers who participate in IDX and not all listings may be visible on the site. The property information being provided is for consumers personal, non-commercial use and may not be used for any purpose other than to identify prospective properties consumers may be interested in purchasing. Listing courtesy of Washington Fine Properties. Data last updated on Friday, April 26th, 2019 05:53:42 AM.